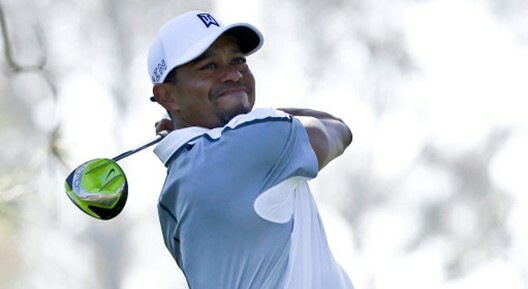 William Hill have taken a massive $85,000 bet on Tiger Woods winning the US Masters at 14/1, the bet was placed in Southern Nevada and represents the first million dollar liability in US betting history. Should the golf bet be successful the $1,275,000 payout will be the biggest sport related cheque that William Hill have written in their 85 year history. Tiger is currently a 20/1 shot in the UK, with Paul Casey (30/1) & Tommy Fleetwood (30/1) the worst results. “Obviously we had a huge payout on Tiger Roll last weekend and we could have Tiger trouble for a second time come Sunday night,” said William Hill spokesman Rupert Adams. With the new NFL season now underway it’s time to take note of this useful NFL betting offer / concession. That’s not all – they also extending this great promotion to NBA and MLB too! You’ll get some NFL Free Bets if your team loses after overtime and now also in the NBA basketball. There are also Free Bet refunds if your side is beaten after an extra innings in any MLB baseball matches. Don’t let a late play ruin your winning bet – get a refund! Minimum odds of 1.50 (1/2) apply to all qualifying NFL bets. Applies to bets placed on all matches in the NFL, NBA and MLB. Applies to losing pre-match single bets only. Applies to bets placed on the ‘Money Line’ market only. In the event of a tie after Overtime or Extra Innings, no Free Bets will be issued. 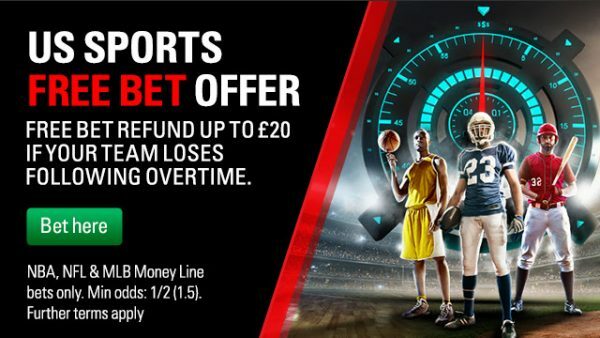 A Free Bet equivalent to the total stake of your qualifying bets (up to £20) will be credited to your account if in your selected game goes to overtime or extra innings and your selected team loses the match causing an eligible winning pre-match bet to be lost. Maximum Free Bet is £20 per customer, per match. Maximum Free Bet(s) is £100 per week – from Monday to Sunday – per customer. 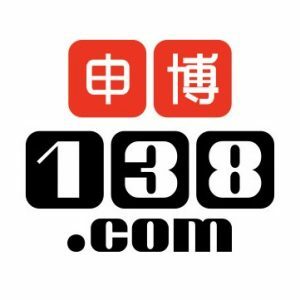 Minimum odds: 1.50 (1/2) per selection. For qualifying customers placing more than one bet on the same game, your Free Bet(s), will be accumulated into one single Free Bet, up to a maximum of £20 per customer. Free Bet(s) can’t be used on system bets. Free Bet(s) will expire after seven (7) days. Free Bet(s) placed on void selections will not be refunded. Bets placed with Free Bets, bets that are cashed-out, and all void bets will not qualify. Your Free Bet will be credited in the currency of your stake. If you change your currency after qualifying for a Free Bet, your Free Bet will be located under the currency of the original stake. Free Bet(s) will be credited within 48 hours after settlement of the last selection of the qualifying bet. BetStars reserves the right to amend these rules at any time. Where there is evidence that a series of bets, placed by individual customers on the same outcome, are linked through a referring website, messaging service, arbitrage alert service or betting system, BetStars reserves the right not to offer the Free Bet to those customers.